Nikon recently announced that they have a new product with a cutting-edge technology as well as a sleek façade. 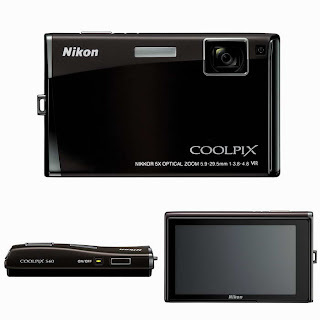 The COOLPIX S60 has integrated a touch-screen feature on its 3.5-inch display. The whole controls of the camera are now just a tap away. Through the use of the touch-screen interface, users may also lock the exposure and the autofocus of their subject by tapping the location on the camera’s screen. If you want to have an excellent portrait, the COOLPIX S60 has a zoom function that commands the device to automatically capture photos of the subject. All these and more by simply using your fingertips! what is the lenght and width of this camera?